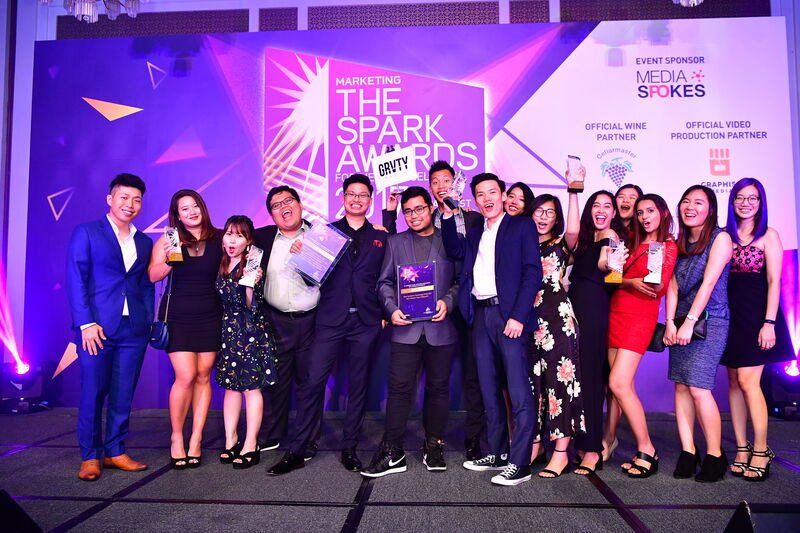 Friday night was a flurry of activity as media owners took the stage at the annual Spark Awards at the InterContinental Singapore. 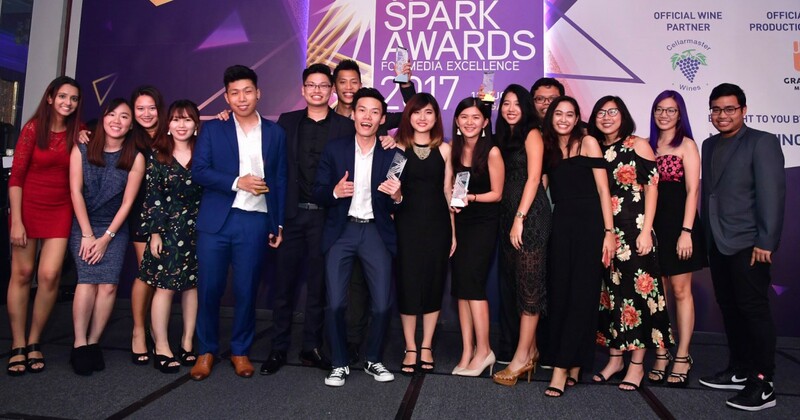 Since its inaugural ceremony, the Spark Awards is now a recognised regional premier event for media owners and ad tech companies. Leading the show was Media Prima, who came out top for their television network and collaborations with Samsung and McDonald’s. Mediacorp came in at a close second for their MeClub Feast app and Mediacorp Out Of Home Media’s work with Income OrangeAid. And making its debut at the Awards is one young brand Vulcan Post readers might be familiar with. 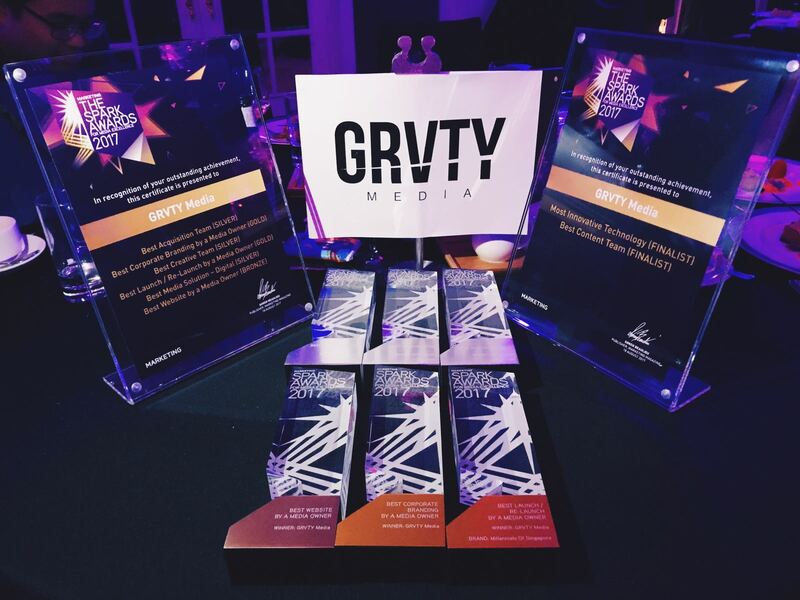 Coming in at 3rd was first-time entrant GRVTY Media, who took home a total of 6 awards that night, 2 Golds, 3 Silvers and 1 Bronze. If this name sounds familiar to you, it’s because GRVTY is also home to us at Vulcan Post! Helping GRVTY gain momentum at Spark was the brand’s collaboration with the DBS Marina Regatta 2017 which generated impressive footfall both online, as well as at the actual event. 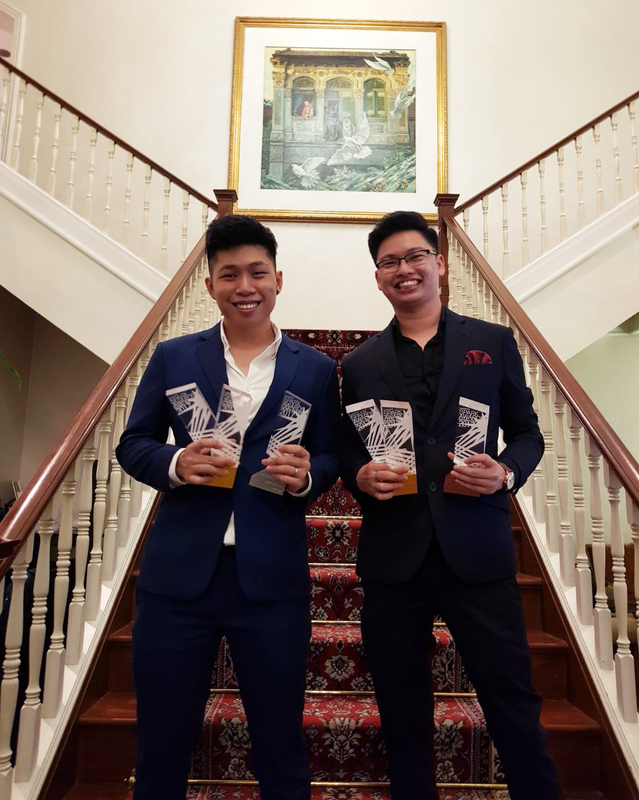 Another victory we at GRVTY are especially proud of, is the Gold that sister publication Millennials of Singapore (MOSG) bagged home that night. If you’ve yet to check out their page, I’d highly recommend you do. There’s something really exciting coming soon too, and you really wouldn’t want to miss that. The team might be young at 4 months, but what GRVTY has managed to achieve is a testament not just to the capabilities of the people I’m proud to call my team, but is also proof to how a small, young team is capable of great things. “Tonight was a huge win for all of us, a validation to the work we have been doing, and I hope we will continue to produce even greater work for years to come,” reflected Managing Director Jacky Yap. As we work towards the next victory, we would like to extend our heartfelt ‘thank you’s to all the readers who have followed us on our journey. And if you’re curious about joining us on said journey, the answer is yes, we’d love to have you. Do check our Facebook page for more photos of our team at Spark!